Congratulations class of 2018! 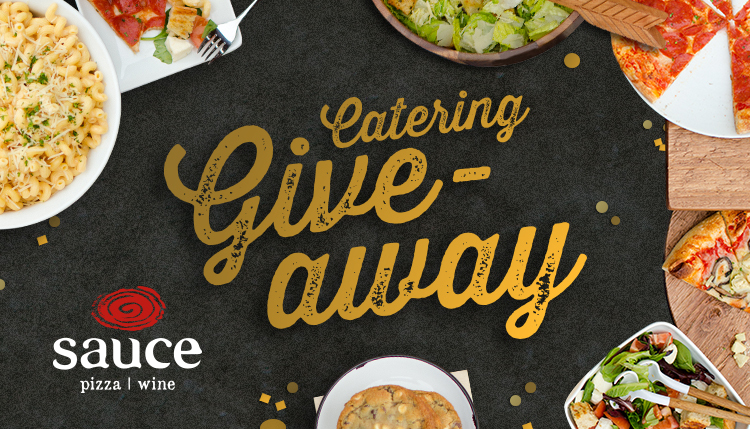 To celebrate our graduates, Sauce Pizza & Wine is giving away $150 gift cards to 3 lucky winners to use on any one of our catering packs. Let us take care of the cooking and enjoy your party by serving your guests delicious, crowd pleasing favorites with a catering party package* of your choice. If you’re already a member of our E-Family, then you’re already entered! If you’re not a member, subscribe to be entered between 5/1/2018 through 5/14/2018. For the official giveaway rules, click here. The three lucky winners will be chosen on May 15th. GOOD LUCK! *Maximum value of $150. Cannot be combined with any other offers or discounts. Valid at all Sauce locations (excluding Sky Harbor airport). Giveaway ends 5/14/18. Winners will be announced, May 15th 2018. ** Forwarding to a friend will not automatically enter the friend into the contest and will not subscribe them to Sauce E-Family. Don’t forget to follow us on social (you may be able to win there as well).